Abraham Ortelius was 71 years, 2 months	& 14 days old age. Abraham Ortelius was born on 14-04-1527 in Antwerp, Flemish, Belgium. He was a Flemish Cartographer, Geographer & Author. 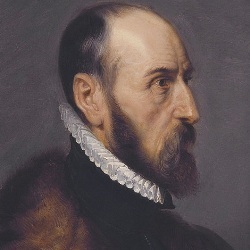 Abraham Ortelius died on 28-06-1598 in Antwerp, Flemish, Belgium at the age of 71. Abraham Ortelius was born to Leonard Ortels (father) & Anna Herwayers (mother).